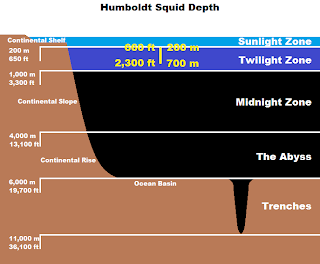 Also known as Jumbo Squid, Humboldts are large, powerful squid found in the Humboldt Current in the eastern Pacific Ocean, all along the entire west coast of South America and up to California. They can weigh 50 kilograms (100 lb) and reach about 1.75 metres (5.7 ft) in length, and that doesn't include the tentacles. They are usually found at depths of around 200 to 700 metres (660–2,300 ft), spending the day in the deep and dark, rising at night to feast. And boy do they feast! Let's take a look at that appetite to start with. Humboldts only live for a year or two, so they need lots of food to get from a couple centimetres in length to some 6 foot in that time. They are also very active. There's that daily migration from deep depths to not-as-deep depths, the fact that they can swim at speeds of 24 kilometres per hour (15 mph) and that they are hunters who chase down and capture prey. This is where those tentacles come in. They swim around on the hunt, with their tentacles and arms held together in a smooth, cone shape. They have large eyes and keen eyesight to spot fish, crustaceans and other cephalopods in the dark. Once something is spotted, they rush in. The 8 shorter arms spread out while the two long tentacles fly out at speed to grab prey. All along the arms and at the tip of the tentacles are suckers lined with tiny claws that can cut and lacerate by themselves, but it gets much worse once something is caught. It will then be taken to the squid's mouth, which is a tough beak rather like that of a parrot. Beyond that is the radula, something like a tongue, but covered in yet more tiny teeth. Together, these rip and tear animals into easily swallowed squid food. 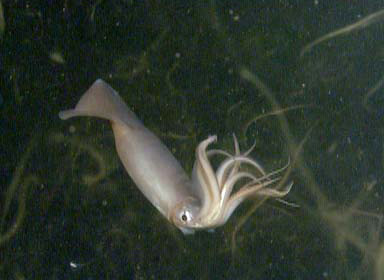 Incidentally, Humboldt squid food can include Humboldt squid. They move around in shoals that can reach over 1,000 individuals. 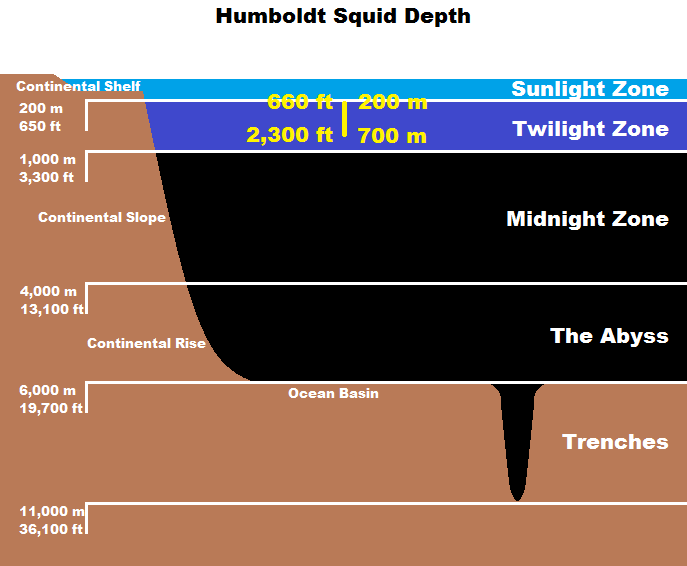 Any squid that is weak or vulnerable may find himself at the receiving end of the business end of a hungry, hungry Humboldt. On the other hand, they can also work together to capture prey. Humboldts have been seen shepherding shoals of fish and krill, cooperating on the hunt. This is the first observation of such behaviour in invertebrates. Maybe I should mention that they are indeed red, although they can also turn white. 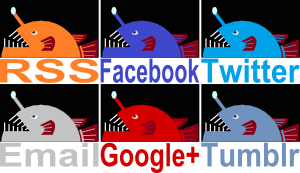 Some even believe that this is part of some kind of complicated communication system. It's well known that octopus are remarkably intelligent, but putting a 6 foot squid into an aquarium to see if it can get through a maze is probably too much to ask. So, we have a great, big squid with impressive power, a voracious appetite and some level of intelligence. Make that a swarm of hundreds of them. The easiest time to see them would be when they are in the shallower depths, and they go their to eat. So we actually have 1,000 massive squid on a FEEDING FRENZY! Better you than me! Better some kind of robot than any of us. This definitely seems like a creature capable of killing a human, especially if we're on their turf in the sea. They have been known to smash up underwater cameras, pull people down and cause real injury. Sometimes it seems like bright lights aggravate them. Perhaps they just go a bit crazy at dinner time. Maybe they aren't very soft and tender in their investigation of strange, new things. Maybe they want to see if this particular strange, new thing, which can't swim very quickly, would make for tasty new food. How would they know otherwise? Seems quite reasonable, really. It's just that we have an uncommon interest in their method of inquiry. Thank you, I'm glad you enjoyed it! Now that you say that, I'm thinking that eating them is probably the best and most useful way of exacting revenge. Certainly against squid. Probably not against other humans though.